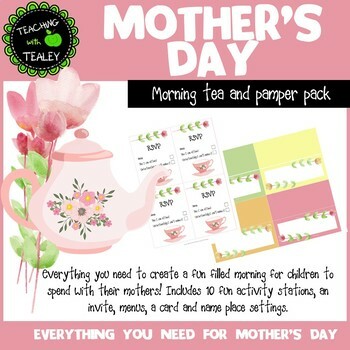 Celebrate the Mothers in your class in style with this Mother's Day and Morning Tea pamper pack. 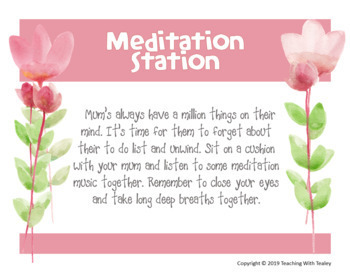 10 station descriptions - yoga, karaoke, meditation, necklace making, flower crown making, heart painting, nail salon, foot spa, mummy massage, cake decorating. 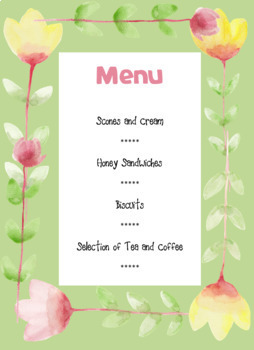 Hope you enjoy this product and celebrating the Mothers in your class! 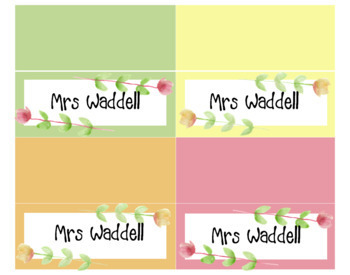 Please follow my store to keep up to date with new products, please provide me with any feedback or suggestions, let me know how it went in your class or send me some photos.